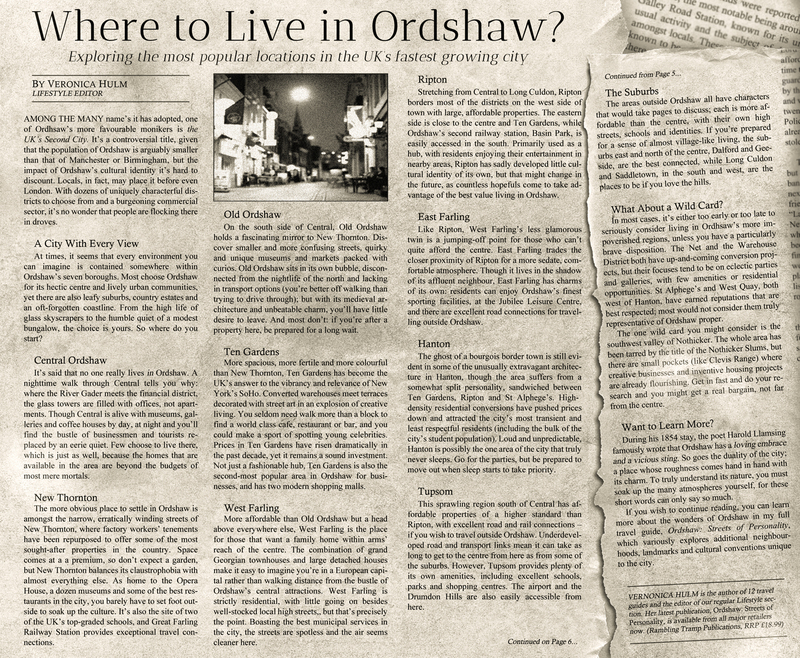 Where would you live in Ordshaw? 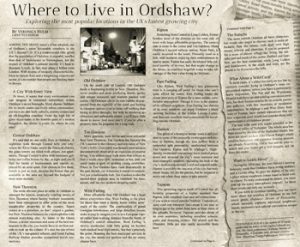 Where to Live in Ordshaw? Among the many name’s it has adopted, one of Ordhsaw’s more favourable monikers is the UK’s Second City. It’s a controversial title, given that the population of Ordshaw is arguably smaller than that of Manchester or Birmingham, but the impact of Ordshaw’s cultural identity it’s hard to discount. Locals, in fact, may place it before even London. With dozens of uniquely characterful districts to choose from and a burgeoning commercial sector, it’s no wonder that people are flocking there in droves. At times, it seems that every environment you can imagine is contained somewhere within Ordshaw’s seven boroughs. Most choose Ordshaw for its hectic centre and lively urban communities, yet there are also leafy suburbs, country estates and an oft-forgotten coastline. From the high life of glass skyscrapers to the humble quiet of a modest bungalow, the choice is yours. So where do you start? It’s said that no one really lives in Ordshaw. A nighttime walk through Central tells you why: where the River Gader meets the financial district, the glass towers are filled with offices, not apartments. Though Central is alive with museums, galleries and coffee houses by day, at night and you’ll find the bustle of businessmen and tourists replaced by an eerie quiet. Few choose to live there, which is just as well, because the homes that are available in the area are beyond the budgets of most mere mortals. The more obvious place to settle in Ordshaw is amongst the narrow, erratically winding streets of New Thornton, where factory workers’ tenements have been repurposed to offer some of the most sought-after properties in the country. Space comes at a a premium, so don’t expect a garden, but New Thornton balances its claustrophobia with almost everything else. As home to the Opera House, a dozen museums and some of the best restaurants in the city, you barely have to set foot outside to soak up the culture. It’s also the site of two of the UK’s top-graded schools, and Great Farling Railway Station provides exceptional travel connections. If you’d like to know about the city, see it through Pax’s eyes in the first book in the Ordshaw series, Under Ordshaw.